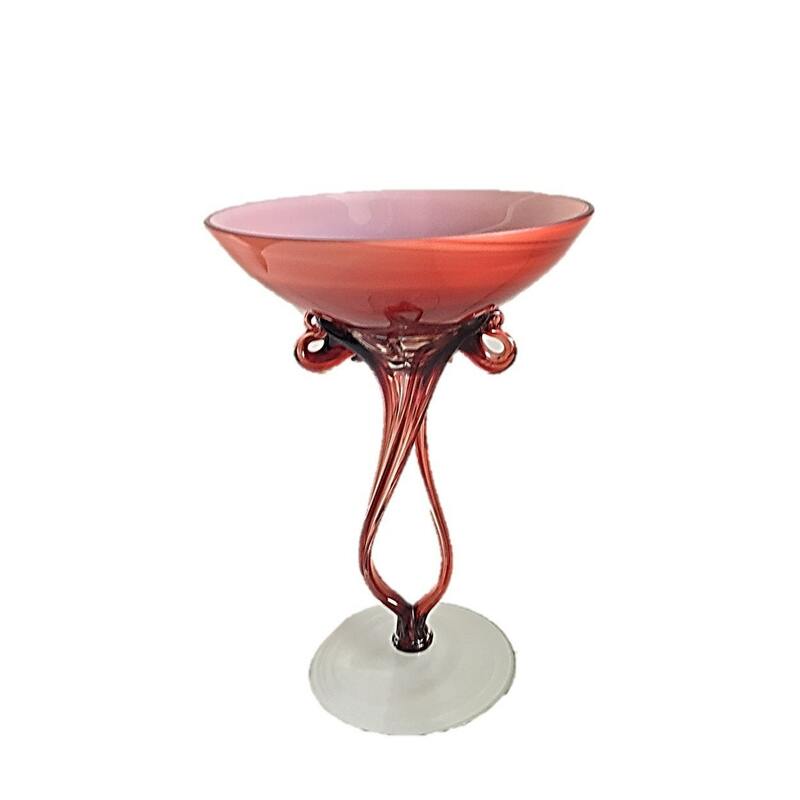 The origins of this lovely footed cased glass compote/vase/dish are unknown to me--I'd guess European, probably Polish. The base has some wear indicating age, but my guess is we're talking 20 years old rather than 50 or 60. 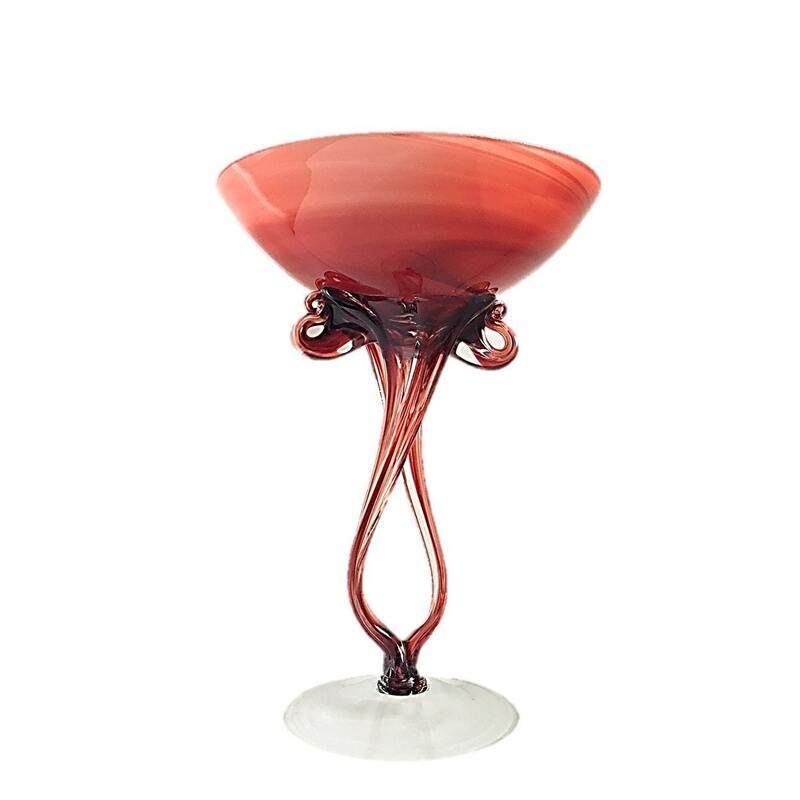 Nevertheless, the design is striking, the piece absolutely lovely and in mint condition.